← The Rule Of Saint Benedict… on Leadership. 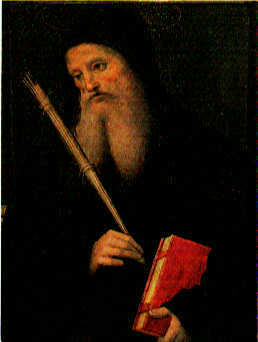 In the book “The Rule of Saint Benedict”, Saint Benedict “writes” on page 11 that all in the monastery need to be consulted when something important is being considered, and that the reason is “that the Lord often reveals what is better to the younger” And if it’s less important it’s acceptable to counsel only with the seniors. My opinion would be that it wouldn’t be something so hard and fast like, “young people are more creative and imaginative, and older monks are jaded by life and by rules”. If they somehow thought that God always revealed what was better to the younger, then they would have shown favoritism towards the younger, and if the thought was truly that the older monks were jaded by life and rules than they would not be given much consideration when making any decisions. What seems more consistent is the desire for equality and fairness. I believe age would have been a common basis for discrimination. On page 11 it does go on to say everyone should express their opinions with humility and that ultimately the decision is completely left for the abbot to make. The final sentence in that paragraph is “…it is becoming for the master on his part to settle everything with foresight and fairness. In chapter 63, a completely different point seems to be made that might cause us to see page 11 as not referring to age at all, “Absolutely nowhere shall age automatically determine rank.” It goes on to say that “Someone who came to the monastery at the second hour of the day must recognize that he is junior to someone who came at the first hour, regardless of age or distinctions.” Thus, it appears that when it mentions later on that same page that the “younger” monk must respect their “seniors”, and the “seniors” must love their “juniors”, age isn’t even being considered. Thus, page 11 could then be interpreted as saying that the Lord often reveals what is better to the monks that “came the second hour”or more recently entered the monastery. The abbot desires a different perspective in order to reach the best possible decision, he would elicit the input from those with “fresh eyes” or a more objective perspective. This entry was posted in Uncategorized and tagged Humility and Leadership, Leadership Humility, Organizational Leadership, Saint Benedict, St. Benedict, The Lord Often Reveals What Is Better To The Younger. Bookmark the permalink. The Rule Of Saint Benedict… on Leadership. Preacher Kills Wife And Puts Dead Body In Freezer… for FOUR YEARS!!! Is Westboro Baptist Church EVIL?